The thought of making a toast to the bride and groom can be nerve-wracking. It’s a big day, all eyes are on you and everyone is hoping for some laughs and teary-eyes. To those of us who have been to a wedding or two, you may know that toasts/speeches can either leave a room smiling from ear-to-ear, or they can….flop (crickets). 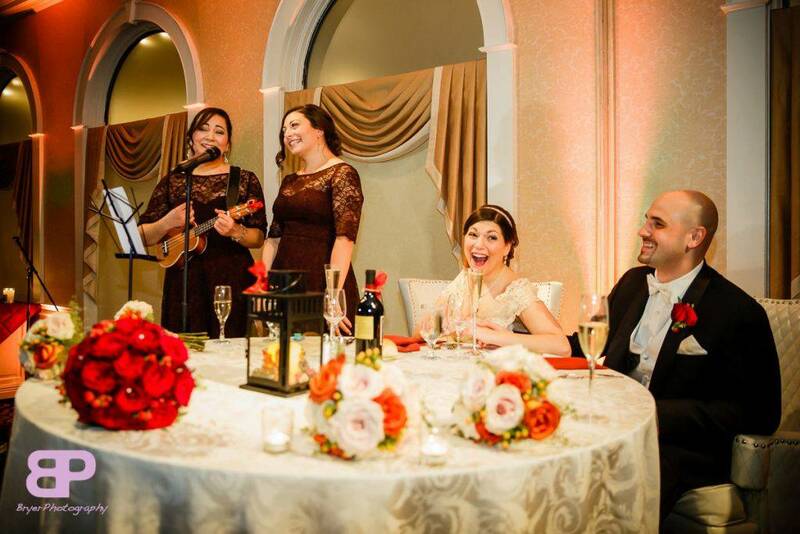 If you’re looking for some inspiration on making your toast, then look no further than the following video link of one of our bride’s two sisters blissfully belting it out (with ukuleles and kazoos). This was from a wedding this past fall at The Glen Sanders Mansion…and is an inspiration to all wedding party members about to hit the mic. They’re sweet, Trendy and Transforming the Wedding Dessert Scene. Cupcakes. Wedding toast its a great idea. First time i listen about it. its really amazing and interesting i would apply this idea on my wedding day.